Thanks to the support of our community and our allies, we were able to complete a successful visit to Washington DC. Our delegation’s personal testimonies and legal expertise helped win support from policy makers towards the release of classified information and the creation of a commission in El Salvador to investigate forced disappearances. 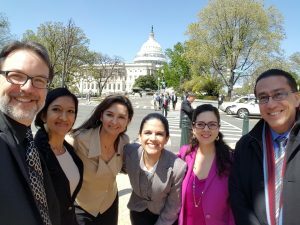 We formed connections with the Salvadoran community and friends in the area. On all counts, the trip was a significant success and we thank our delegation members and partners for a marathon effort. As a result of our advocacy efforts, action is underway on several fronts. 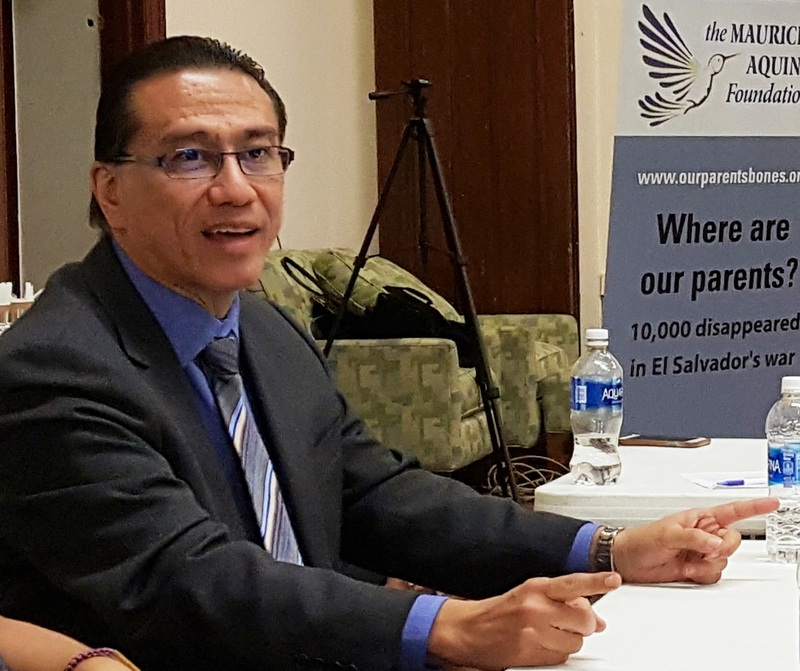 Members of Congress will circulate a letter for delivery to the US and Salvadoran Presidents, while others in Congress are exploring the possibility of linking the investigation of forced disappearances to human rights conditions for US aid to El Salvador. 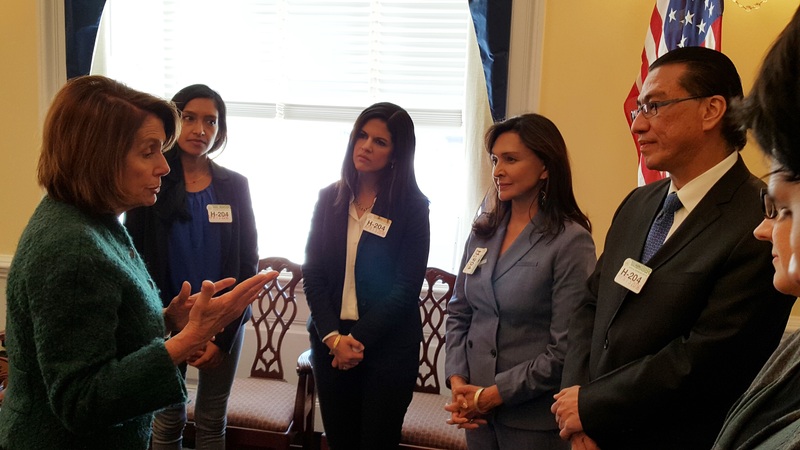 In meetings with the State Department and foreign relations committees in both chambers we have helped to bring greater urgency to the need for access to secret files held by agencies in the US and El Salvador, and concern for the role of El Salvador’s Human Rights Ombudsman. At our briefing to members of Congress and their staff, the packed room was visibly moved by the testimonies. 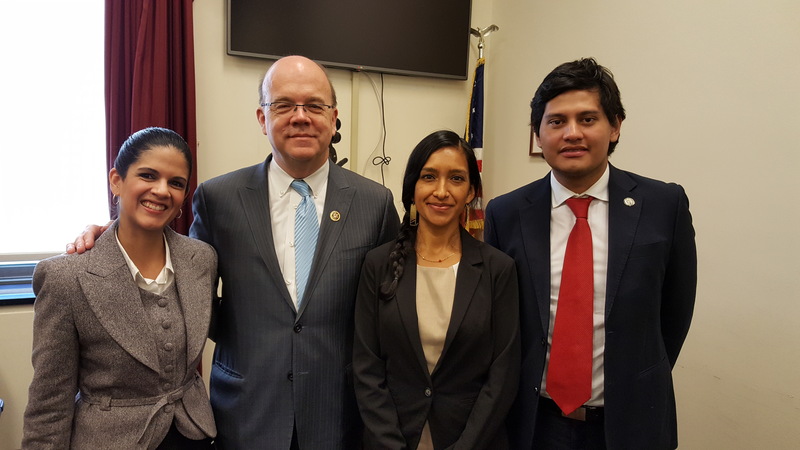 Reps Jim McGovern and Norma Torres spoke, the heads of the cosponsoring bodies the Tom Lantos Commission on Human Rights, and the Central American Caucus, respectively. Most notably, Rep. McGovern stood at the event’s conclusion and pledged to author and recruit congressional support for 2 letters pressing our demands: one to President Obama and the other to El Salvador’s President Sanchez Ceren. The event was covered on a Univision news broadcast. Also, click this link for a video of the complete briefing. 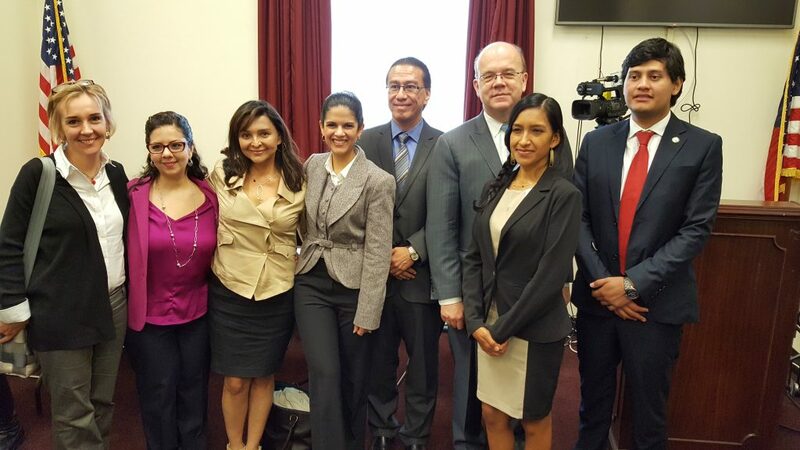 Rep. Jim McGovern (MA) with delegation members after he announced he would lead a Congressional letter on the issue. 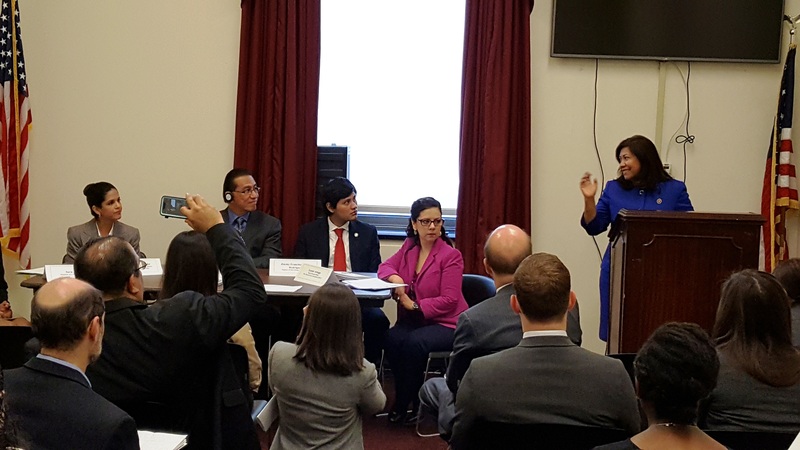 Rep. Norma Torres, head of the Central America Caucus, addresses the briefing. In addition to the briefing event, the delegation held high-level meetings with a number of leaders in the House and Senate. House Minority Leader Nancy Pelosi, Senators Patty Murray and Diane Feinstein, and others. We met with the State Department’s Bureau on Democracy, Human Rights, and Labor. 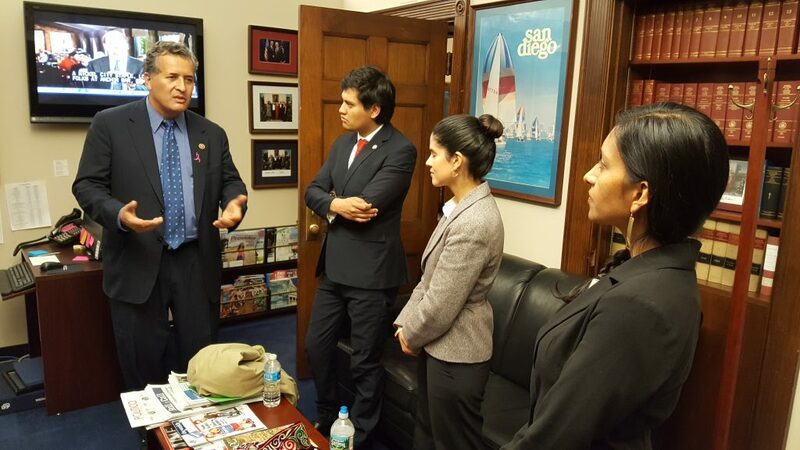 We met with the Salvadoran Ambassador to the US, Francisco Altschul. A special reception was organized by the Due Process of Law Foundation and the Center for Human Rights (CHR) at the University of Washington to further discuss the recent release of CIA files resulting from a lawsuit by the CHR. House Minority Leader Nancy Pelosi offering support to the delegation. She recounted that as a freshman Congresswoman her very first speech on the floor of the House was about El Salvador. Delegation members shared their personal stories, and the emotion cut through the noise on Capitol Hill. Alexandra stated powerfully, “As a lawyer, I am a believer in the rule of law. Attempting to erase a person from memory is the worst kind of crime. I just want to know what happened to my Dad.” Sara recounted how her father’s forced disappearance led to her family’s upheaval and migration to the US, and how she carries on his legacy through the arts and in raising her daughter. Jimmy described how his grandfather dedicated his life to finding his two sons until his own passing. Now as a young lawyer Jimmy carries on his grandfather’s quest, asking ‘where are my uncles?” We will soon add their testimonies to our website. Their stories confirmed that the injury remains real today, that there is tremendous energy in being able to connect with others who have similar stories, and that there is power in bringing the past to light, declaring the names of those lost, honoring their memory, and calling for the truth about their disappearance. 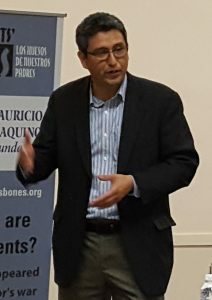 Ombudsman David Morales made a legal case for the pursuit of the truth regarding forced disappearances. Forced disappearance is defined as a crime against humanity in international law*. It represents a form of torture for surviving family members, being a crime that repeats itself everyday that the afflicted are left to wonder about the whereabouts of their loved ones. For these reasons it is not bound by a statute of limitations nor by amnesty. He pressed home the point that failure to address this issue has left the country ill-equipped to tackle impunity and disappearances related to today’s violence. Political will, forensic capacity, genetic databanks and other means of galvanizing effort and identifying the dead are critically needed. Remembering lost parents and relatives. 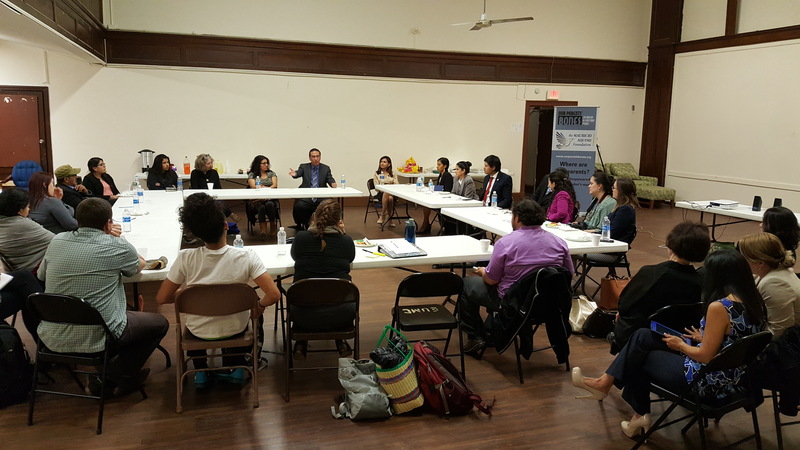 In close collaboration with CARECEN-DC we convened members of the Salvadoran community and allies for a special dinner meeting. Some shared their own personal experience with forced disappearance as well as detention. 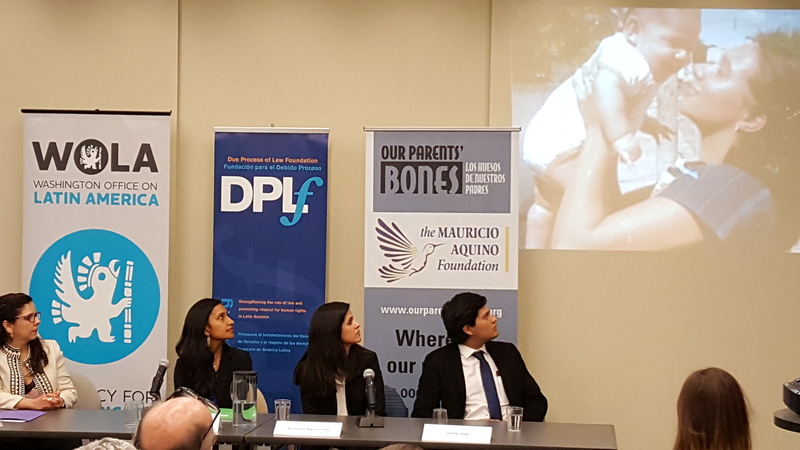 Many indicated a desire to move forward with us in reaching out to those who have been directly affected by the forced disappearance of a loved one. This event was covered by Telemundo news broadcast and an article in El Pregonero. Though a difficult topic, ultimately we were left with a sense of hope. There is healing in declaring that a loved one indeed lived and is remembered. 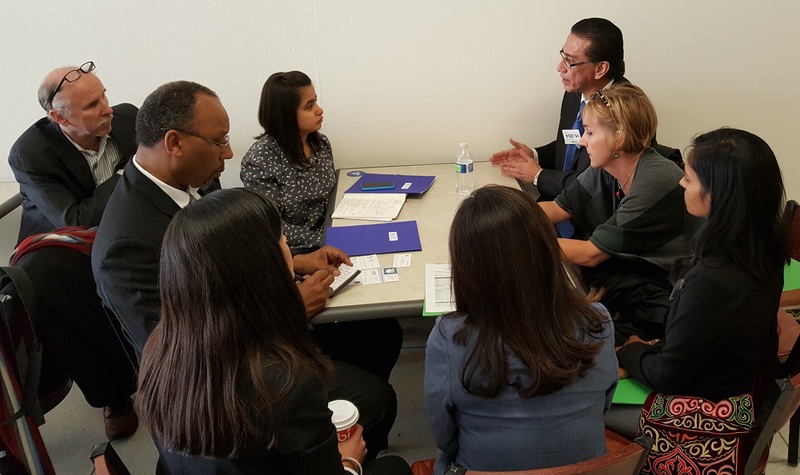 We found strength in the community coming together to share our values and desires – building a better country, a better future, a more just El Salvador. It is with this great hope for the future that we seek to unearth the hidden secrets of the past. 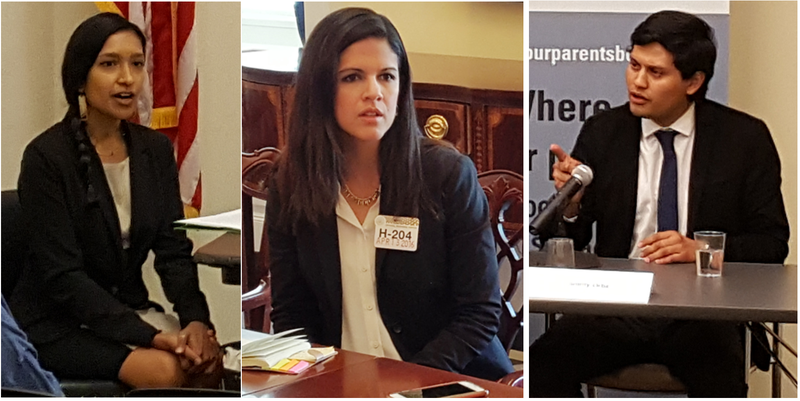 A special thanks to our delegation members and allies: Alexandra Aquino-Fike, Sara Aguilar, and Jimmy Ortiz who represented children and relatives of the disappeared; David Morales, Human Rights Ombudsman of El Salvador; Geoff Thale of the Washington Office on Latin America; Leonor Arteaga with the Due Process of Law Foundation; Angelina Snodgrass Godoy of the Center for Human Rights at the University of Washington, and Abel Nuñuz and team at CARECEN-DC. For more information on the members of the delegation, see the list of speakers on this previous post. Mother and daughter co-founders of the Maurico Aquino Foundation, Sylvia Rosales-Fike and Alexandra Aquino-Fike.